As Spring is the time of birth and renewal, it is right and proper that World Doula Week falls in this third week of March. It is a time for doulas to come together, celebrate and remember the mothers, fathers and babies we have supported during the year. At Doula UK, we began our World Doula Week celebrations at our fourth annual conference which took place on Saturday 19th March. It was a dynamic day of learning and being together and we ended it by assembling the biggest ‘cuddle of doulas’ we have ever seen! Doulas provide psycho-social support to new families and here in the UK are regulated and supported by the organisation Doula UK. The doula role is an ancient one, but the name ‘doula’ was only coined in the 1970s. We provide emotional and practical support during pregnancy, labour and the postnatal period. Once a year we stop to reflect on the work we do supporting our communities and celebrate our successes. 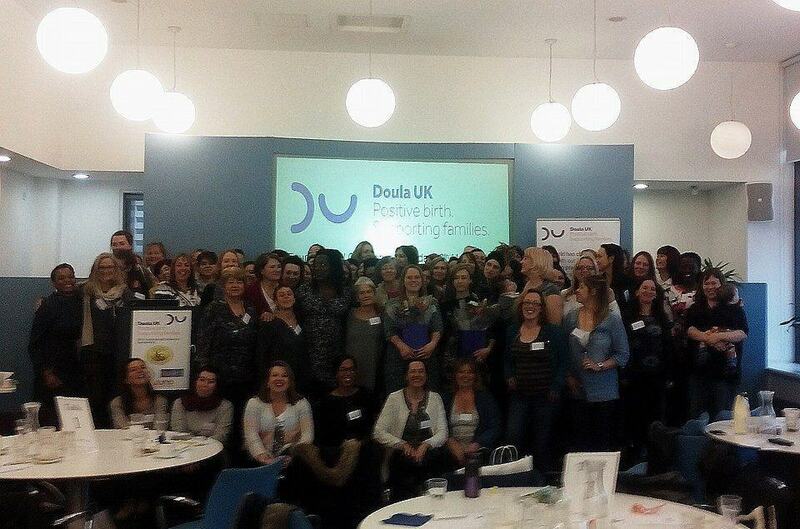 This year we are especially celebrating the 15th birthday of our professional organisation, Doula UK (www.doula.org.uk). We will be marking World Doula Week in the time-honoured manner of doulas; with shared food with colleagues and clients and midwife friends. 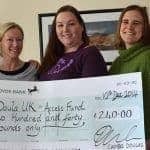 There will be many events happening around the country, with many local doula communities raising money for good causes, including the Doula UK Access Fund which provides support to vulnerable women or those in financial hardship. The exponential growth of doulaing in the UK and worldwide over the last twenty years highlights how many parents are reaching out for support during the childbearing year. We look forward to another year of providing parents with the social support and information they need to navigate the maternity maze.